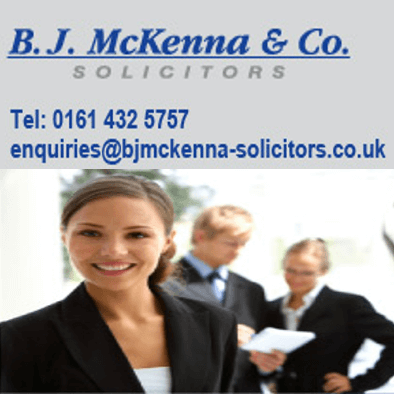 B. J. McKenna & Co Solicitors in the Stockport area are an experienced and well established law firm. You can expect high quality and friendly legal advice from solicitors with over 25 years experience. We serve clients from all walks of life and pride ourselves on our down to earth approach. We are a forward thinking firm which puts our clients' needs first to get them the best result the law can offer. Home visits can be arranged for those in Greater Manchester or North Cheshire who are unable to attend our offices due to disability.